The gorgeous Gran Hotel is right on the beach just outside the pretty town of Estepona. Sitting on a sweeping shallow bay with its own bit of sandy beach almost deserted when I visited in mid June. The hotel has 5* rating which is thoroughly deserved, from the welcome to the fabulous spa, choice of restaurants and the relaxing gardens. There’s a choice of tariffs with an inclusive package which provides a vast buffet for dinner or 3 al carte restaurants each open on certain nights. An indoor and outdoor pool or spa and gym will keep you occupied and fit during the day or it’s a good base, being right on the road, to explore the lovely town of Estepona. With 204 rooms, I was amazed at breakfast that so many people were staying in the hotel. We had the spa all to ourselves at 10.30am, the gardens and many lovely little sitting areas, both inside and out, always had plenty of space. Rather larger than our normal hotel but for a large, chain hotel it never felt un-homely or unwelcoming and I’d happily return. 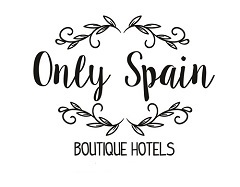 See our Malaga page for our Boutique Hotel collection in Malaga province.